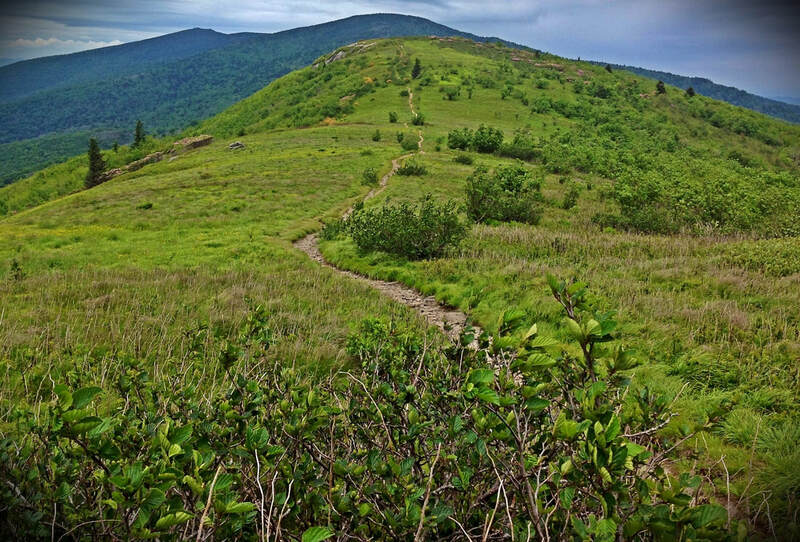 From Carver's Gap to Roan High Knob, the trail is 4.5 miles round trip and is a moderate hike through a mossy, fir-filled forest, with beautiful Roan Mountain views. 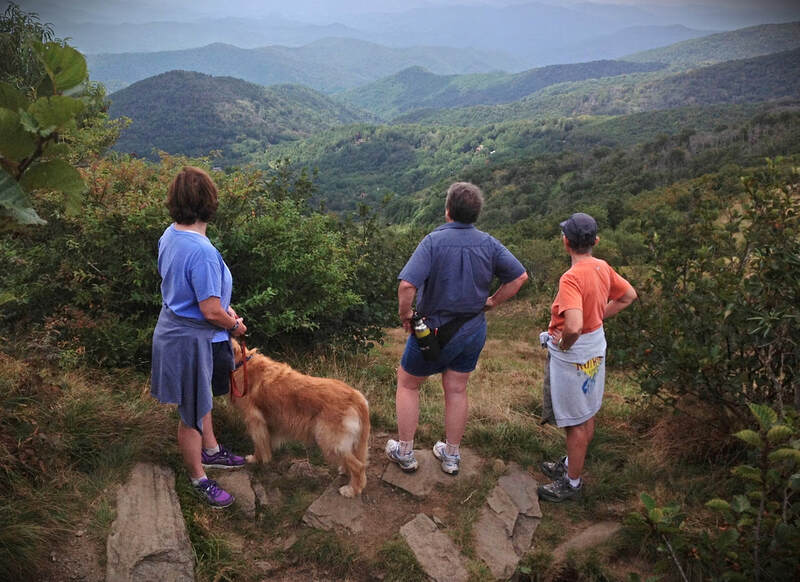 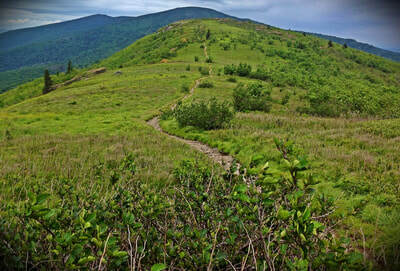 From Carver's Gap to Grassy Ridge Bald, over grassy, wildflower-covered fields with exceptional 360-degree summit views at Round Bald, Jane Bald, and Grassy Ridge Bald; 4.7 miles round-trip and moderately difficult. 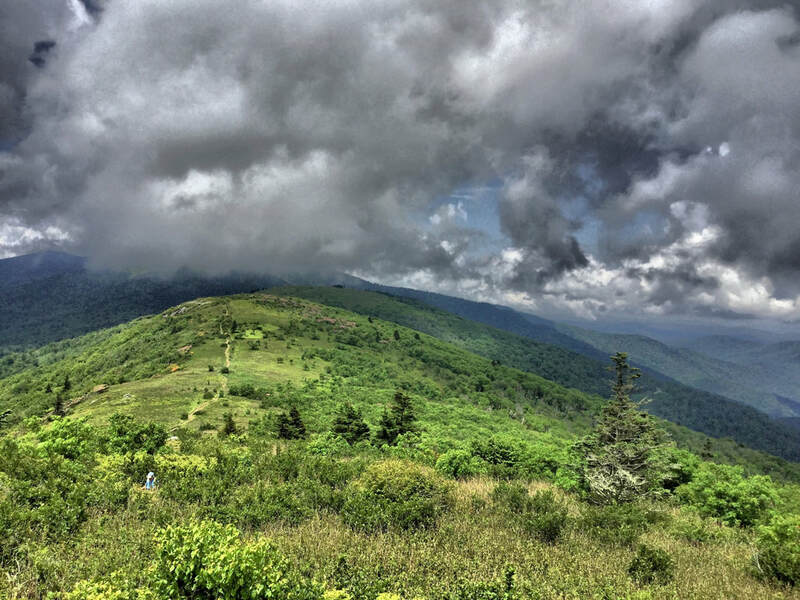 From Roan Highlands to the Overmountain Shelter, a historic red barn at Yellow Mountain Gap; 11 miles round-trip and a difficult hike. 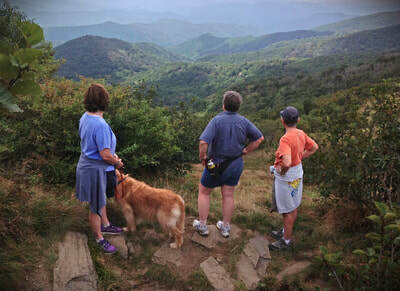 All of the AT hikes are dog-friendly.